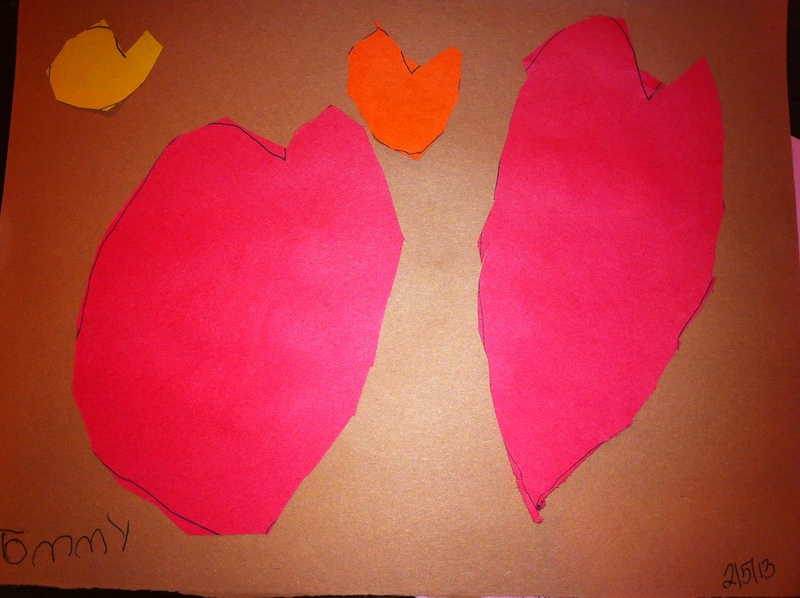 T’s finished heart homework. I was quite impressed. These are all free-hand and cut 100 percent by T!